Note: This page contains data from 1965 through 2009. Enzian Schuhplattler traces its origins back to 1965, when Rudi Schaffner got together a group of dancers from the Seattle area and taught them Schuhplattler dances from Germany. The six or seven Plattlers practiced at the Westlake Tavern and did various performances around town to the music of the Herb Marks band. Eric Kuboth was a member of that first group, which called itself Enzian Schuhplattler. That first group disbanded in 1972 or 1973. 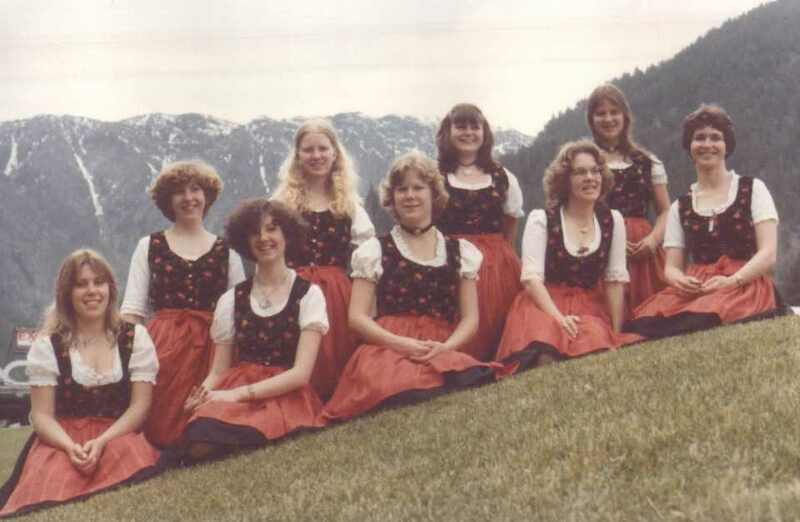 In the spring of 1975, Maria Hicks from the Continental Club (associated with the German Heritage Society and the German Haus) formed a dance group to perform German folk dances and named it the Continental Club Folkdancers, later called the Continental Club Enzian Schuhplattlers. The Continental Club paid the hall rental so the group would have a place to practice. The dancers performed for many Continental Club events, as well as performing at other venues. Most of the members of that first group were under the age of 21. They started performing figure dances, but later asked Rudi Schaffner to teach them some Schuhplattlers. Rudi got Eric Kuboth involved. Rudi soon stopped coming, but Eric Kuboth joined the group and became their leader, a role he continued until retiring from the group in 1990. In about 1977, the Continental Club ceased to directly support the group, and Enzian Schuhplattler was on its own. 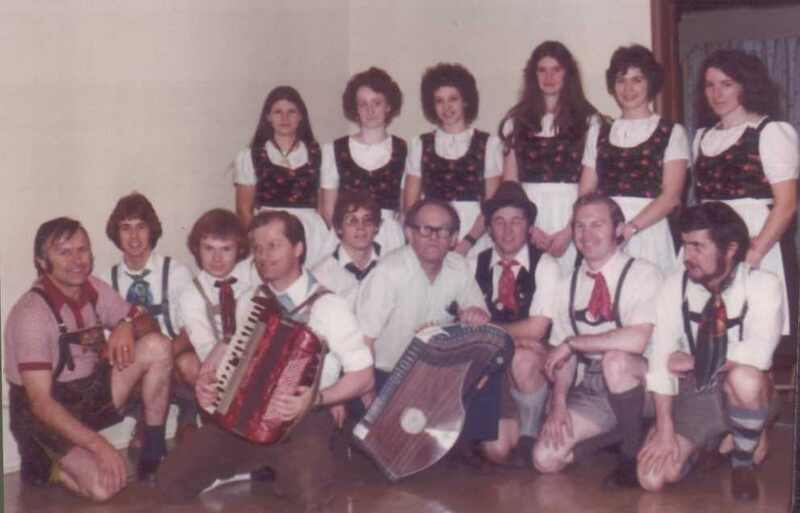 Enzian Schuhplattler was the only German dance group in Washington at that time. Eric Kuboth, and his wife Ann, managed the group of mostly teen-agers and acted as chaperones on out-of-town trips. At performances, Eric espoused the group mingling with the guests and partaking of any refreshments that were offered, as well as receiving a stipend for the performance. He made sure the group was never treated as "second class." 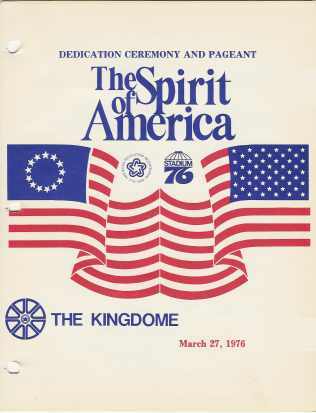 Enzian Schuhplattler represented Germany at the opening of the Kingdome on March 27, 1976. 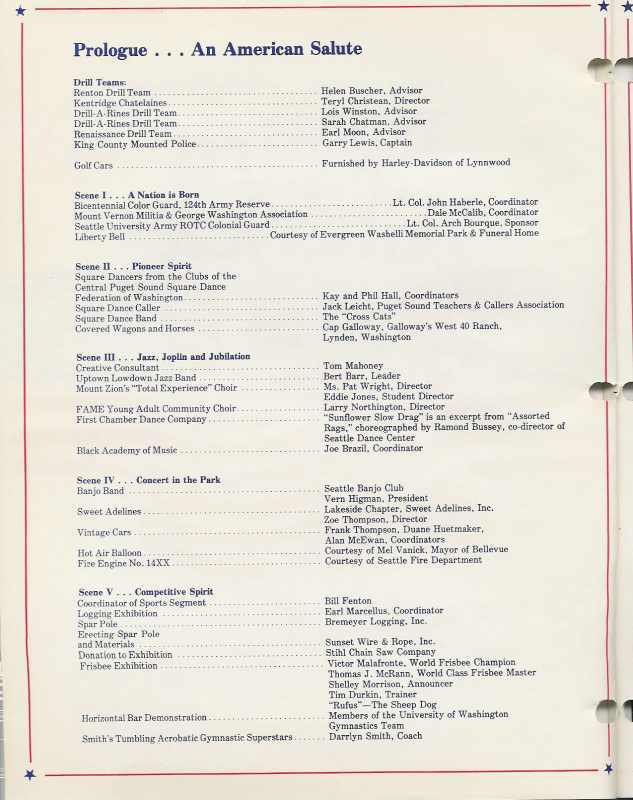 The group (listed as the Continental Club folkdancers) is mentioned on page 2 of the program. You can also view page 1 here (I did not copy the remainder of the program). In 1978, Enzian Schuhplattler performed at a Seattle Sounders soccer game at the Kingdome. Each year since 1978, Enzian Schuhplattler has performed in Leavenworth. Enzian Schuhplattler convinced the town to let them do the Maypole dance in the town square, starting the popular tradition of that dance in Leavenworth. These two great pictures show the men and women with the mountains in the background. 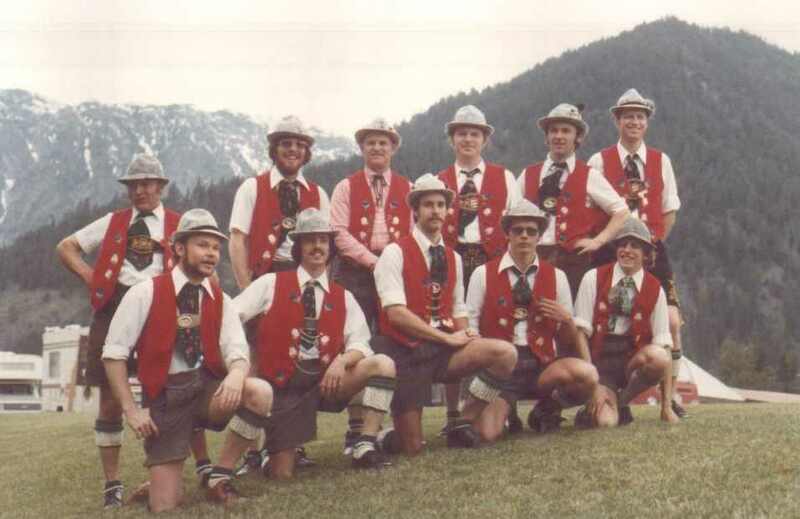 Also beginning in 1978, the group has danced at the Seattle Yacht Club's Oktoberfest. For ten years, Enzian Schuhplattler performed for the Bellevue Philharmonic's "Night in Vienna," beginning in 1983. Starting in 1979, the group sponsored its own dinner/dances. The first ones were at the Haller Lake Improvement Club, which accommodated about 250 people; later dances moved to the Vasa Park Ballroom, where 400 people could participate. Hans Rainer's band always played for these dances, which sold out every time. In 1986, Enzian Schuhplattler performed at the World Exposition in Vancouver, B.C., representing the German community of Washington State. When Eric retired in 1990, the club decided to become democratic. Anna Tauscher was the first president. She was appointed by Eric before he left. In about 1990, the club joined the Gauverband Nordamerika, a federation of Schuhplattler clubs in Canada and the United States. Joining the Gau meant abiding by a number of new rules; the club was divided over the decision. In 1992, Carolyn Marquardt was elected president (Vorstand) of Enzian Schuhplattler, a position she maintains to this day. In 1993, a number of people left the club for various reasons. Only 5 members remained as members of Enzian Schuhplattler at that time. By 1996, there were 7 members. By 1998, there were 9 members. By 2000, there were 12 members. As of September 2002, there were 17 adult members and 5 junior members (plus two other children who danced with us occasionally but were not yet junior members). In July of 2003, there were 20 adult members and eight junior members. As of May 2005, there were 22 adult members and ten junior members. In December of 2006, there were 25 adult members and 14 junior members. As of April 2007, there are 22 adult members and 11 junior members. In January 2010, there are 27 adult members and 9 junior members. In 1996, Kathy Bruni created the Enzian Schuhplattler Web site. She continues to expand and update the site regularly. In 1997, Carolyn Marquardt was appointed as Gaubeisitzer to the Gauverband Nordamerika, so even though we are a relatively small club, we now have a representative on the governing body for Schuhplattler clubs in North America! Also in 1997, Roger Mowery was appointed publicity and promotions chair, and he began working to build the membership and reputation of the club. Since about 2000, Kathy Bruni has taken over the role of Pressewart. The year 2000 saw Roger Mowery take charge of the group as Vorplattler, with his wife, Kathy Bruni, as Vortänzerin. Roger and Kathy are still the dance leaders of the group. Carolyn Marquardt celebrated her 20th anniversary with Enzian Schuhplattler in August of 2004. She now has the most years of continuous membership in Enzian of any current member. Congratulations, Carolyn! Note: Past Vorplattlers included Matt Worsham, John Bernhard, Rick Senzig, and Alan Lincoln. Carolyn Marquardt was Vortänzerin for most of the years between 1991 and 2000. Enzian Schuhplatter continues to perform for the Leavenworth Maifest (even-numbered years) and the Leavenworth Autumn Leaf Festival; Northwest Folklife Festival; the Ethnic Heritage Council's events; the Seattle Yacht Club Oktoberfest; Oktoberfest and Maifest celebrations for the German Heritage Society and the Austria Club of Washington, Oktoberfest NW, and a number of other venues. In 2001, we formed our first children's group when Ben, Mark, and Karl Reutter started dancing with us. By May of 2005, there were ten children in the children's group. In October of 2006, we had 14 children dancing. A new experience for most of us: in 2000 and 2001, the group had a cameo appearance in two performances of the Leavenworth production of "The Sound of Music". We danced the "Bavarian Ländler" during the concert scene and got standing ovations from the theater crowd. In 2001, the group traveled to Kimberley, B.C., for a performance—their first official performance outside the U.S.A. in a number of years. Roger and Kathy started teaching a children's dance class at the Eastside German Language School in the autumn of 2001. Not only was it a good venue for making new contacts for performances and new members, but it opened the door to more children participating in Enzian Schuhplattler. They continued teaching the class in 2002–2003; 2003–2004; and 2004–2005. They also conducted a few dance sessions at EGLS in 2006 to ready the kids to perform at Maifest. At Folklife Festival in May of 2002, Enzian Schuhplattler performed with 10 couples (including 5 children) and taught a very successful dance workshop at the festival. Folklife Festival of 2004 again saw us performing with 10 couples and teaching a well-received dance workshop in the Center House. Also in 2005, we held our first all-day workshop for Enzian members. We repeated the workshop in 2006, and again in 2007. At each workshop, we added new dances and worked on dance fundamentals, as well as presenting information about Tracht and culture. 2005 marked Enzian's 40th anniversary, and we celebrated with a weekend of activities. We had about 124 past and present members and friends attend the Saturday evening dinner/dance, with 40 attending the Saturday daytime dance workshops. The Friday Heimatabend provided a relaxed and casual atmosphere to meet with our many former members and guests, and the Sunday brunch gave us a chance to say our goodbyes in a relaxed fashion. In conjunction with the Jubiläumsfest, we had shot glasses and trading pins created, using a design created by our musician and artist, Chris Barnes. On October 1, 2009, Enzian performed for two hours at the Mariner's pregame Oktoberfest, with clips of their performances featured on pre-game and post-game TV broadcasts. It was another first! 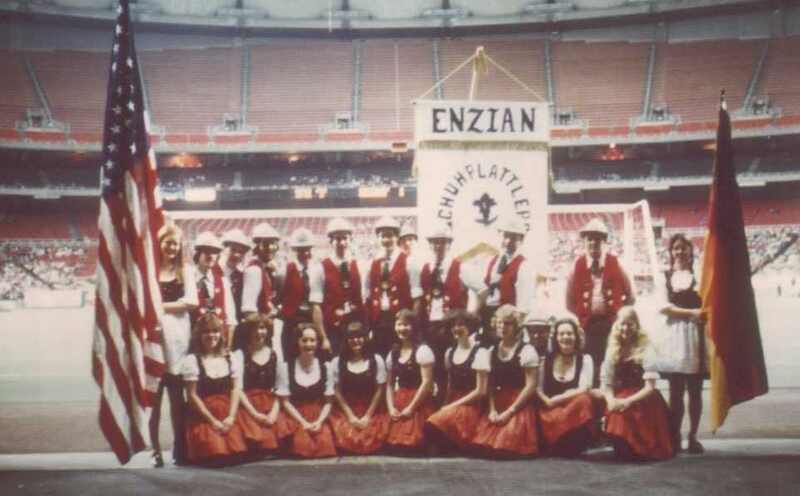 In October 2009, Enzian also performed at two major Oktoberfests the same weekend—Oktoberfest Northwest, in Puyallup, and the Enumclaw Oktoberfest—and two separate groups from Enzian performed the Knappentanz at both venues the same day. In 1993, Carolyn attended the Gaufest in Buffalo, New York. In 1995, three Enzian Schuhplattler members attended the Gaufest in Milwaukee: Carolyn Marquardt, Fritz Neiger, and Linda Clark. 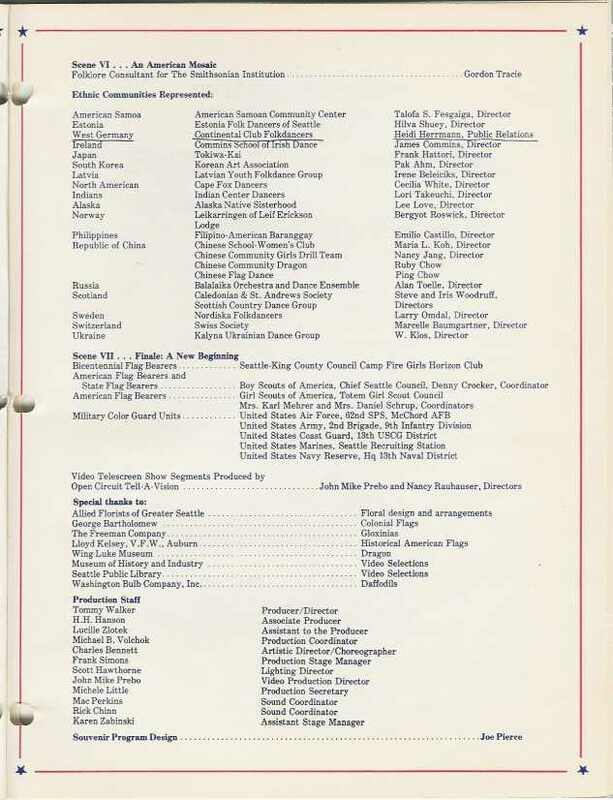 In 1997, three members attended the Gaufest in Delaware: Carolyn Marquardt, Kathy Bruni, and Roger Mowery. In 1999, six club members attended the Gaufest in St. Paul: Richard Smethurst, Mary Pearse, Rick Senzig, Roger Mowery, Kathy Bruni, and Carolyn Marquardt. With the help of two members of the Florida club, Enzian Schuhplattler performed an Ehrentanz for the first time. In 2000, three Enzian Schuhplattler members (Carolyn Marquardt, Roger Mowery, and Kathy Bruni) attended Gaufeste in Germany: one in Füssen and one in Dachau. By the 2001 Gaufest in New York, eight Enzian Schuhplattler members and a friend from Portland attended the Gaufest at the Nevele Resort in New York State: Richard Smethurst, Mary Pearse, John Lofgren, Margaret Reutter, Erika Roller, Carolyn Marquardt, Roger Mowery, and Kathy Bruni, and friend Lyle Weden from the Tirolian Dancers of Portland, OR. The group performed an Ehrentanz (Enzianer) and won the Weitpreis. Two couples (Roger and Kathy; John and Margaret) also participated in Einzelplattling. In July of 2002, eight Enzian Schuhplattler members (Carolyn, Mary, Margaret, Erika, Kathy, Richard, John, and Roger) and Lyle Weden from the Tirolian Dancers of Portland, OR, went to Bavaria to attend two Gaufeste. They stayed first with families in the village of Hofstetten and enjoyed fabulous hospitality there, including several sight-seeing trips and a Grillfest, as well as attending the Lechgaufest in Seestall. They received standing ovations for their two Ehrentänze: Auerhahn and Ammerseer. After a week of sight-seeing in Mittenwald and Königssee, they attended the Gaufest of the Gauverband 1. in Altötting. The entire trip was a wonderful experience for all! 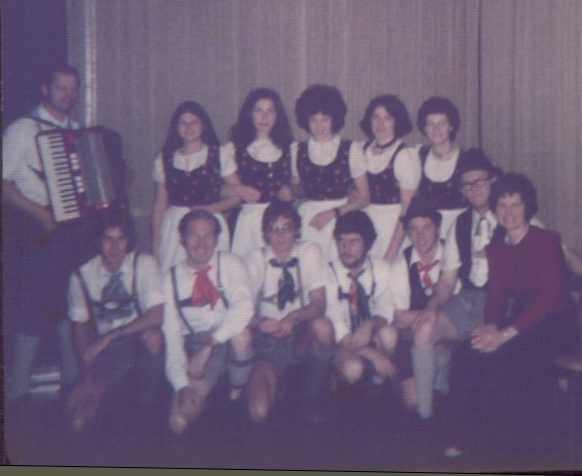 At the 19th Gaufest in Philadelphia, May 2003, twelve Enzian Schuhplattler members were in attendance: button box accordion player Chris Barnes; adult dancers Kathy Bruni, Kathy Casper, John Lofgren, Carolyn Marquardt, Roger Mowery, Margaret Reutter, Erika Roller, Rick Senzig; and junior dancers Ben, Mark, and Karl Reutter. We performed a Kinder Ehrentanz (Ambosspolka) and an adult Ehrentanz (Gamssprung). Again at this Gaufest, we had two couples participate in Einzelplattling (Roger and Kathy; Carolyn and Rick). We had a wonderful time! In July of 2004, we made another trek to Bavaria. There were eight Enzian Schuhplattler members (Carolyn, Mary, Margaret, Kathy C., Kathy B., Richard, John, and Roger) and Lyle Weden from the Tirolian Dancers of Portland, OR, on the trip. We stayed first in the village of Hofstetten and enjoyed fabulous hospitality there, including several sight-seeing trips and a Grillfest, as well as attending the Lechgaufest in Stoffen. We spent a week sightseeing in the Zillertal (Austria), and five of the group drove into the Südtirol to meet with Schuhplattler Gruppe Villnöss. Our group and theirs performed at a beer garden for the folks from the surrounding villages, and we also appeared on Austrian TV. It was quite a trip! When we got back to Bavaria, we attended a second Gaufest, this time in Peissenberg. Such fun! In July of 2005, nineteen Enzian members (including 5 children) attended the 20th Gaufest, held in Buffalo, New York. For our Ehrentanz, we waltzed on to the stage and then danced the Alztaler, to the music of our buttonbox accordion player, Chris Barnes. We had two adult couples that competed in the Einzelplattling, and three junior couples, so it was a very exciting weekend! In July of 2006, ten members of Enzian again visited Germany. In addition to shopping and sight-seeing, we participated in many Schuhplattler events: three dance practices (two in Hofstetten and one in Obermenzing), a Goassl Probe (practice by a group that snaps whips to music), two Gaufeste (the Lechgaufest in Rott and the Huosigaufest in Diessen), and the Bayrische Löwe (the Schuhplattling competition for all of Bavaria, and which included competitors from North America). Thanks to our president, Carolyn Marquardt, we also had the opportunity to view private demonstrations of crafts related to Schuhplattler—Mieder making, knife making, and the creation of Federkielstickerei (embroidery on leather using strips cut from peacock quills as "thread"). It was a remarkable trip, and our German friends made it a memorable one. The 21. Gaufest, June 21-24, 2007, in Hershey, Pennsylvania, created a lot of fond memories for the six of us that attended. Our Ehrentanz, the Dreisteirer, went well. Roland, Kathy, and Trina formed one set; Roger, Carolyn, and Emily (a friend from the Tirolean Dancers of Oregon) formed a second set. On Friday morning, Roger Mowery and Kathy Bruni competed in Einzelplattling. We found out Saturday night, when the awards were given out, that they placed third in their age group—which means that they will be allowed to compete in the Einzelplattling in Bavaria in 2008! Thirteen of us attended the 22. Gaufest, in Toledo, Ohio: Carolyn Marquardt, Roger Mowery, Kathy Bruni, Kurt & Jenny Graupensperger, Trina Murphy, Roland Krebs, Rick Senzig, Cheri Bull, John Lofgren, Toni & Iris Auer, and Chris Barnes. Five couples from our group competed in the adult Einzelplattling competition (where one couple dances at a time). Two of our couples competed in the 35-49 age group, which was comprised of 22 couples: Kurt & Jenny placed 8th, and Trina and Rick placed 18th. Two of our couples competed in the 50-59 age group, in which seven couples competed: Toni and Kathy placed 3rd, and John and Cheri placed 7th. There were five couples in the 60+ age group, and Roger and Carolyn took first place! Couples that place in the top three in their age group qualify to compete in Germany the following year, so Roger, Carolyn, Kathy, and Toni will be able to compete in the 2010 competition (the Bayrische Löwe), which will be held on July 17, 2010, in Bavaria. During the Heimatabend Friday evening, there were performances of traditional Bavarian music by a variety of groups, followed by Ehrentänze. Our group performed the Lechgauschlag, and it went well. As with every Gaufest, there were too many things to see and do for us to be involved in all of them, but it was a wonderful event.